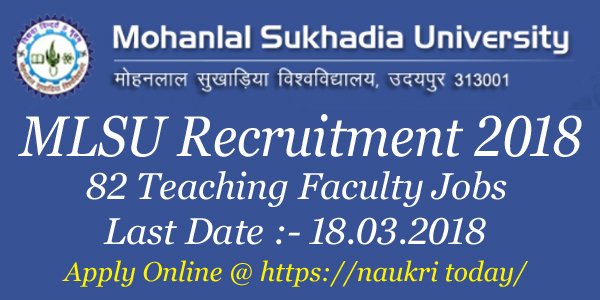 Mohanlal Sukhadiya University has recently published notification for recruitment of 82 Professor, Associate Professor and Assistant Professor vacancies. MLSU Recruitment 2018 is organize for filling up faculty jobs. Interested and eligible candidates may apply through online mode. Mohanlal Sukhadiya University Online Form already available on official site. You can fill your MLSU Job Online Form before on 10.03.2018. Applicants also require to submit hard copy of application form. The screening date of MLSU Faculty Vacancy is 18.03.2018. 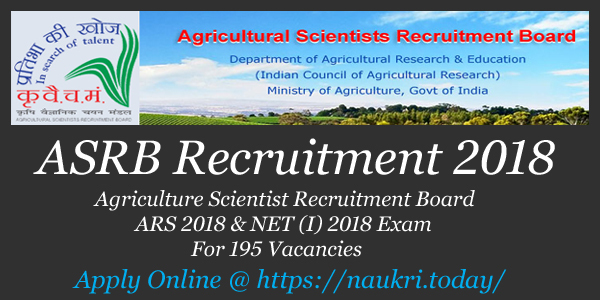 MLSU Recruitment for 86 Profesor, Associate Professor and Assistant Professor jobs. Applicants who hold Ph.D Degree may apply online and then go to attend the screening test. 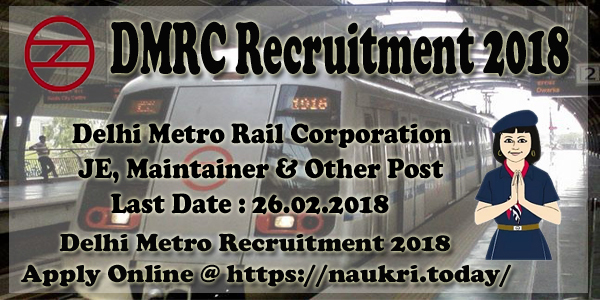 Desired candidates can fill MLSU Online Form before the last date 10.03.2018. Applicants also required to submit hard copy before on 16.03.2018. The MLSU Vacancy Interview or screening test will going to held on 18.03.2018. Other details like eligibility criteria, selection process and how to apply are mention in below section. Interested applicants who are going to apply for MLSU Vacancy should ensure that they are eligible or not. Participants should check given below education qualification, age limit and other details. MLSU Faculty Job Eligibility details is mention on given below topics. The education qualification must prescribed by UGC/AICTE/MHRD/PCI/BCI/ Government of Rajasthan. For MLSU Teaching Job aspirants must have Ph.D Degree recognized by UGC. Applicants who are registered with M.Phil/Ph.D Program prior to July11,2009 with the UGC are also eligible to apply for MLSU Recruitment. For more details of education qualification you should require to check MLSU Notification 2018. There is no age limit described by the university. Rest details check MLSU Job Notification. After selection of the candidates they will get a salary every month. MLSU Assistant Professor Vacancy description is mention below. For Professor Vacancy : Applicants will collect Rs. 37400/- to Rs. 67000/- with grade pay Rs. 10000/-. For Associate Professor : Selected candidates will get Rs. 37400/- to Rs. 67000/- with grade pay Rs. 9000/-. MLSU Assistant Professor Jobs : Aspirants will receive Rs. 15600/- to Rs. 39100 plus grade pay Rs. 6000/-. Apply for MLSU Jobs participants must require to pay application fees. Fess once paid is not refundable. Applicants also check given below selection criteria for more details. General candidates have to pay Rs. 1000/- as an application fees. SC/STOBC/PH participants need to pay Rs. 500/- through online mode. Applicants can use credit card/debit card and net banking. Applicants selection will be made on the basis of written test/interview. First aspirants should attend the screening test and then qualify candidates will call for an interview. Furthermore details you should check Mohanlal Sukhadiya University Job Notification. Interested and eligible candidates may apply through online mode. If participants can’t understand how to fill the MLSU Assistant Professor Recruitment online form they can follow some instructions mention under. Visit to official site www.mlsu.ac.in. Go to notification segment and search MLSU Recruitment Notification for teaching post. Click on the link and then download notification. Read Mohanlal Sukhadiya University Notification Carefully. Then go to apply online for MLSU Assistant Professor Jobs. Select your post and then enter all required details. Fill your personal and education information. Make Payment of MLSU Vacancy as an application fees. Submit application form and then take hard copy for future uses. Applicants also apply through direct mode. MLSU Faculty Recruitment direct link is available on given below section. Conclusion : MLSU Recruitment 2018 For 82 Professor, Associate Professor and Assistant Professor Jobs. Interested and Eligible candidates are require to apply through online mode. Mohanlal Sukhadiya University Recruitment Application Form last date is 10.03.2018. MLSU Assistant Professor Vacancy Screening test will going to held on 18.03.2018.